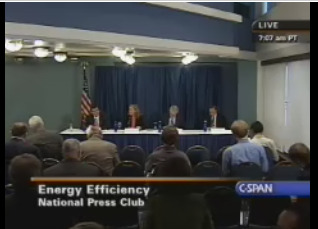 If you want to know what is going on now that Obama has become president, or you need arguments for comprehensive enery efficiency measures, check out the 19 december 2008 press conference through the link below. The power companies have realized that realizing energy efficiency is more cost effective than building new power plants (about 3 times). Another reason making efficiency a no brainer is the long term shared benefits in terms of energy prices of efficiency over new fossil plants. This entry was posted in Uncategorized on January 15, 2009 by admin. Het kan. Investeer in een goedkope manier om uw brandstof gebruik terug te doen lopen voor vrachtwagens in de internationale logistiek. This entry was posted in Uncategorized on January 1, 2009 by admin.